Side note: the auction description ends mentioning the Arturia Minibrute SE. As always be careful. When buying on eBay, be sure you actually buy through eBay for the buyer protection. If you take it offline for a "deal" you assume the risk. 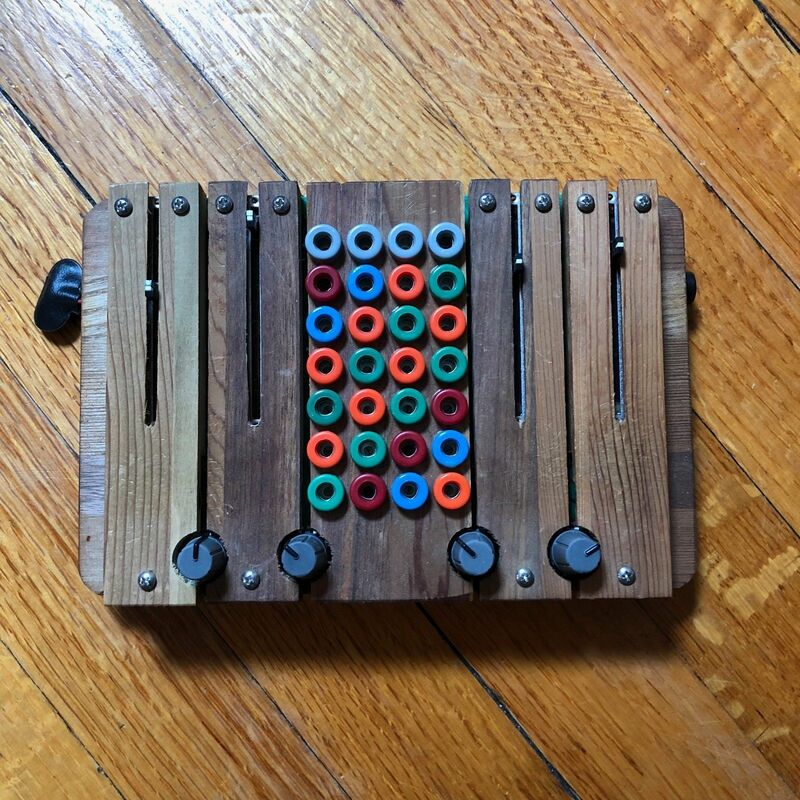 "The Tetrax Organ follows a lineage of electronic musical instruments based on touch. It was redesigned once, as. It has four wooden bars that you press to express four oscillators within. Each oscillator has its own fine tuning slider, embedded right within its bar. Also, there is are two master pitch knobs, and two master chaos knobs. Each master chaos knob makes the instrument go from pure sawtooth tones to a nest of noise. It does this by gradually increasing modulation from one oscillator to the next in a circular pattern. The reason there are two of each knobs: the Tetrax is all about timbre modulation, by changing the upslope and downslope of triangle waves separately. So, for master pitch and chaos, there is a separate upwards and downwards knob. In general, Tetrax is for funky bass and complex tones, while is for sweet melodies. Of course they all have noise available at any point! The Tetrax organ has a stereo-mini output on the back. This is because each bar, outputs in different channels during the press/release cycle. In addition to the stereo-mini jack, it has an power switch, and optional built-in batteries, or an external, 9volt battery snap."